But Chairman Basil Wenceslas's vendetta against the free-spirited Roamers has blinded him to danger closer to home - the soldier machines that make up the backbone of the Hansa fighting force. King Peter has long suspected that the compies, built with the help of the ancient Klikiss robots, cannot be trusted. Now the shocking proof comes when the Klikiss launch their long-planned extermination of all things flesh and blood. And in the ensuing battle, humans and Ildirans alike will face their darkest choices yet. The audio publisher changed after book 3 (from Recorded Books to Brilliance); in most cases, Scott Brick or Jim Meskimen have read my books, and I have very close contact with them. 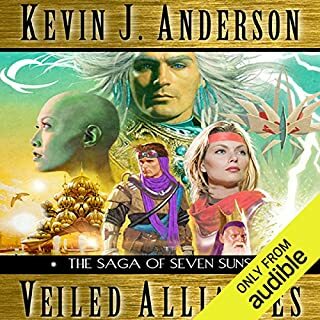 For the first three Seven Suns books, I had a long phone conversation with George Guidall to guide him through the pronunciations. 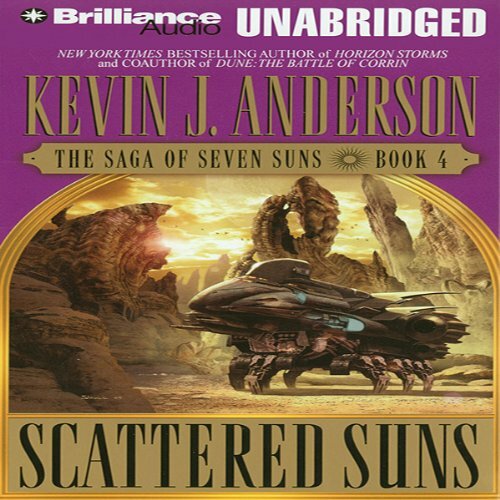 For the other Seven Suns books, I sent a pronunciation list, but I did not have any contact with the reader. 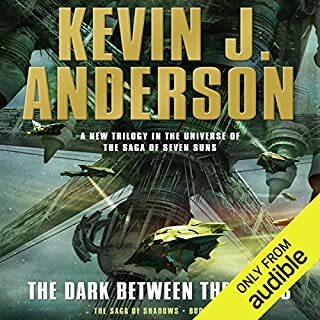 I initially felt like the last reviewer, thinking that this narrator would've probably been acceptable (even given the ridiculous accents) if I hadn't already listened to 60 hours of the previous, excellent narrator, and that I would hopefully get used to him eventually. The different name pronunciations were distracting, but not deal-breakers. UNTIL NOW! I just reached the part of the book where Tasia's compie "EA" comes into the story again. Amazingly, the narrator even manages to mispronounce this two letter name, saying "ee-aah", despite the fact that it states clearly in an earlier book that compies are referred to by the first two letters of their designation, and there are copious examples already mentioned ("U-R", "D-D", etc... I'm now worried to hear how these other compie names will be butchered by the narrator when they come up in the story again: "er" and "duh-duh" perhaps?) Although I'm only partway through Scattered Suns, everytime I hear "ee-aah" now, it is like nails on a chalkboard. In the event that a change in narrator must take place in a series, it would take so little work by the production company to just have a flunkie listen to the first three volumes and make a list of pronunciations for the new narrator to increase consistency and to prevent embarrassing errors like this "ee-ahh" fiasco. They will end up with much happier consumers, and probably with a happier author as well. I bought the first three books in the series. The narrator set the tone for the books and did a wonderful job. They changed narrators for the rest of the series. He pronounces character names wrong. There is cheesy conversation over radios. The "rube" roamers have a southern accent. The "intelligent" Ildirens have a UK accent. Very bad Narrator. I wish I could get a refund. The publisher should be ashamed. Doesn't the new narrator have to listen to the previous narrator? There has to be continuity. Don't buy this series. I bought the first 4 I guess I have to buy the last 2 but I spend all the time talking to my ipod correcting the pronunciation of the names. Buyer Beware!!! This is NOT a Recorded Books publication and it is NOT narrated by George Guidall. Colacci's mispronunciation of names and the horrible characterizations with lame accents are like a punch to the face after enjoying Guidall's impeccable performances on the first three books. Read the rest of this series with your eyeballs, folks. Or lacking those...Braille! 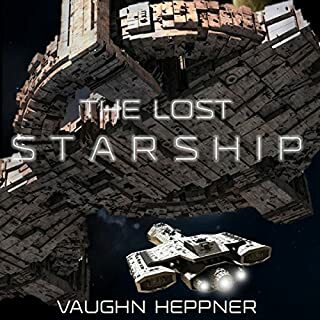 I loved the first three books, and found the narrator engaging. This one is read by someone else, and I do not enjoy his style. Also, as mentioned by another reviewer, he pronounces many of the names differently. I actually didn't listen to the whole thing, I went and bought the book itself. I thoroughly enjoyed the first 3 books. This new narrator painfully mispronounces almost every name and sounds like he is horking up a hairball when he pronounces the Mage Imperator's family names...Very disappointed. The series is good, not great. it's just too predictable to be great, but the imaginative epic captures you and makes you want more. However, I'm about half way through this fourth book of the series and I don't know if I can continue. 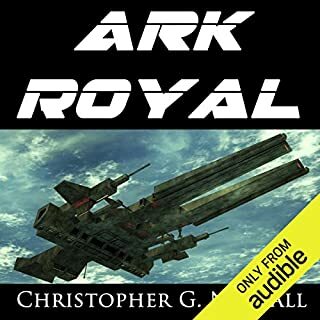 David Colacci (the narrator) is Horrible - one of the worst I've heard, and I can't believe they let such a poor narrator take over for a series as popular as this. I was hoping that everyone was wrong about the narration issue, I see (or should I say hear) they were quite right. I can't stand this narration. What a waist of a good series. Add my husband and I to the list of people who found the narration of this book both horrendous and frustrating to listen to. 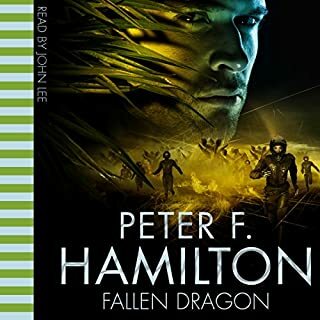 Not only did he change the way several of the character names are pronounced compared to the previous narrator but he also gave them bad, and in our opinion, "just plain wrong" accents. He managed to ruin the book. The story itself is good, if you can get past the horrible narration. I agree with David. After about 60 hours of listening to one narrator and to then have a new speaker come in with a whole new set of pronunciations is very bothersome. 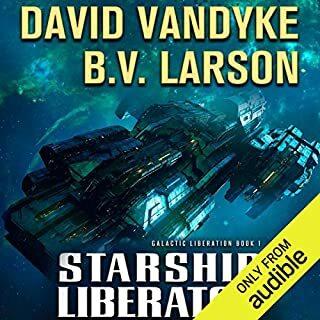 The new guy really should have listened to the first 3 Audible productions. I'll keep listening for a while to get past it and be back with a full review.